Two men are claiming paternity to 10-month-old twins, one of them insisting there were his even when his wife had lived with her lover for over 2 years now. He has his reasons. A court in Oyo State may need the wisdom of King Solomon or the help of a DNA to know who the father of a 10-month-old twin is between the two men claiming paternity. 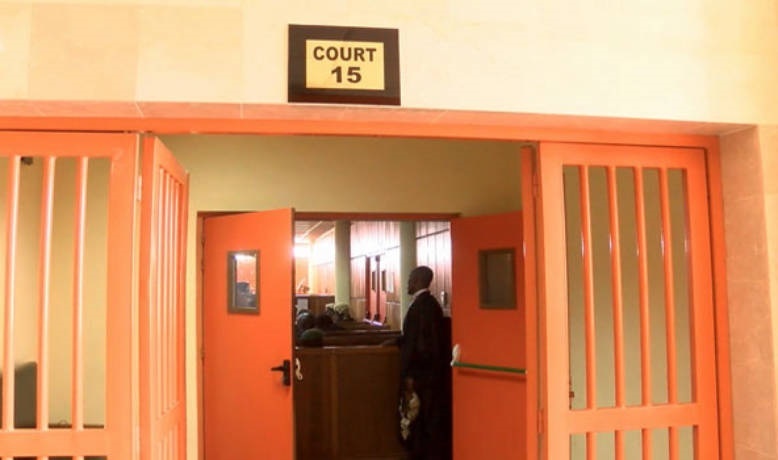 The Grade “C” Customary Court had opened on Wednesday at Iseyin, a community in Oyo State to hear a case that is one of the most controversial. Wait! Don't look at the '2-years-after-separation' thing to draw conclusion. Keep reading! Sharing his testimony with the court, Mr Elijah said: "She packed out in 2016 to another man’s house around Enkule area, I can’t ascertain if she was pregnant when she left or not, but the fact that she still sees me secretly means that the twins are mine. “My Lord, I paid dowry on Kehinde and our marriage was not dissolved at any time, she just moved out in search of greener pasture, so the twins are mine and she knows". Responding, Kehinde, who was had made an attempt to attack her estranged husband, but was prevented by security personnel, alleged that Adegoke was “irresponsible”, saying, she moved out after several attempt to change him failed. “I don’t know what he is talking about, we have one child together and I did not go with him when I left. As far as I know, that is the only child between us,” the 30-year-old trader said. Her claims and attempts to physically harm her husband triggered a rowdy session in court. The President, thereafter, adjourned the matter until September 20.